You’re not alone-in 2018, it’s estimated that 234,030 people in the United States will begin the journey of living with lung cancer. The diagnosis of any disease is difficult to hear. But lung cancer can be even more difficult because of the stigma. It can be prevented if you don’t smoke. Because smoking was linked to lung cancer over 50 years ago, it was given the label of a “smoker’s disease.” But today, we know smoking isn’t the only cause of lung cancer, and many people can develop it years after they have quit smoking. The diagnosis of lung cancer, may be confusing. Lung cancer is a very complex disease, and all of the information you hear can be difficult to understand. Not to mention the challenges and the cycles of emotions that come from the news. The first step in coping with the diagnosis is talk to your loved ones and be honest with them about your diagnosis, treatment, and your emotions. Don’t try to protect people from the bad news-you need your circle of loved ones close through this journey. A 2015 survey found 64 percent of people with lung cancer felt self-care, body image, changing relationships, and meeting their own emotional needs were their biggest hurdles-not the issues related to health care. Lung cancer has many different treatment options depending on the type and stage of your lung cancer. You will be making new decisions about treatment at various stages of the disease with advice from your oncologist. It is very important you ask questions about all of your treatment options. Your treatment could include chemotherapy, radiation therapy, surgery, targeted therapies, and immunotherapy. Knowing what you can expect, can help you feel more in control of your treatment. If you have a family member or loved one to advocate for your needs throughout treatment, it will help you cope. Have someone come to the appointments and take notes-they can also keep track of all your questions between appointments. Emotional distress, anxiety, anger, and fear are part of the roller-coaster of emotions that come with treatment. If you need a counselor or mental health professional to talk to, your doctor can refer you to someone with experience in cancer treatment. Your lung cancer treatments are likely to cause other symptoms and side effects including pain, shortness of breath, sore throat, and fatigue. Here are some tips to help you manage those symptoms. “Focus on breathing – take slow, deep breaths and fix your mind on something calming. Yoga can teach you how to focus on your breathing and help you relax. For advanced lung cancer patients, research shows yoga improves overall physical function, stamina, and mental health. 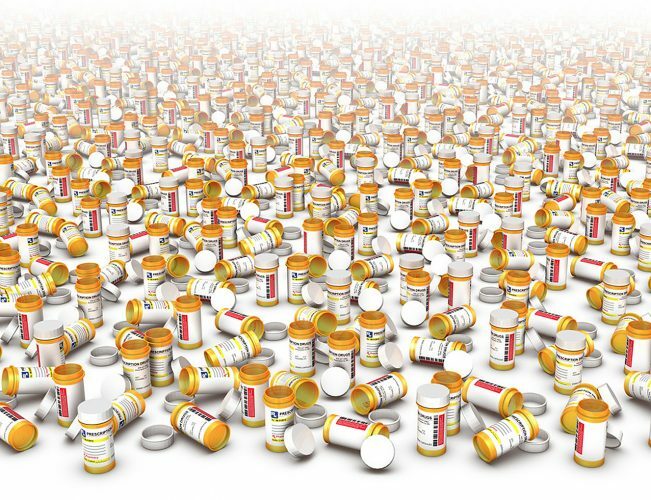 “Pain management – talk to your doctor about pain medications, if needed. You may want to try alternative therapies to help deal with pain including acupuncture and massage. “Eat small meals – nausea could affect your appetite. To get the nutrition you need, try eating every three to four hours. Eat at least five servings of fruits and vegetables and choose lean meats and whole grain foods. “Drink more water – fluids can help you with dry mouth and digestion. Water can also keep you from getting dehydrated if you are vomiting. “Stop smoking – there are immediate rewards when you quit smoking including lower blood pressure and improved lung function. “Physical activity – if your doctor approves, exercise may improve your mood and reduce tiredness. Talk to your doctor about what kind of exercise is right for you. When you are living with lung cancer, you need to pay attention to both your physical health and your emotional needs. A cancer diagnosis affects not only you but your entire family. Be sure to accept help when it’s offered and assign duties to people who reach out. Accept offers of meals or chores from neighbors and friends, it can go a long way to help you through this emotional time, and it can prevent caregiver burnout. After your treatment, a survivorship care plan can be created with your cancer care team to help you transition from diagnosis to survivorship. This care plan will guide you through your changing medical needs, spiritual needs, symptoms, and ongoing surveillance and monitoring. 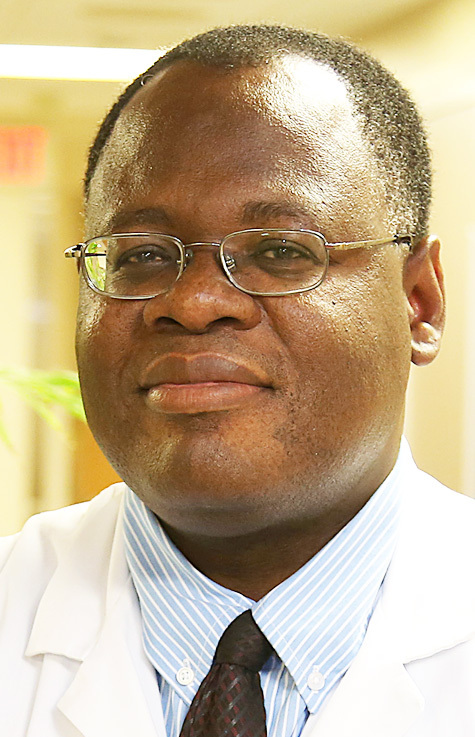 Dr. Charles Agbemabiese is a hematologist and medical oncologist at UPMC Susquehanna. He received his medical Ghana and completed his residency and fellowship at Howard University Hospital Washington, D.C. He is also quadruple boarded in internal medicine, medical oncology, hematology, and palliative care/hospice. UPMC Susquehanna offers treatment for lung cancer in Wellsboro, and Williamsport.